We are all super powerful manifesting beings, who just have a bit of amnesia. We’ve forgotten how amazing, how incredible, how brilliant, special and extremely powerful we truly are. There is this mass hypnosis going on all around us, where all our friends and family have also forgotten their super manifesting powers and magnetic abilities. The hypnosis is so deep they may not even know they are pretending to be normal like everyone else just to fit in with the rest of humanity. To step out and de-hypnotize oneself from this comfortable sheep-like mentality and step into your divine greatness, you must make a radical shift which may feel like risking everything you have and who everyone thinks you are. Radical transformation requires radical risk. If you want to play small, think small and take small risks, you will tend to manifest small results. If you want to live large, be financially abundant and free, you must accept there are no boundaries to what you can manifest. Once you’re ready to take this big risk, write down a commitment to yourself that you are going to become permanently financially free in the next 5-10 years of your life. Write down the date and what amazing creative miraculous thing happened during this time, and you’ll feel the switch turn on. The commitment is best made now, not tomorrow or next week. You want to jump on the opportunity while the momentum is happening…now! The decision to become financially free is a great gamble, that may perhaps be the most dangerous one of all because it has nothing to do with the outer world and everything to do with the inner. The risk is radical in that you must give up all preconceived notions and ideas you have about your financial habits, beliefs, and feelings. To step into a much larger financial picture of yourself, that’s teaming with a plethora of possibilities, you must realize just how amazing, powerful and unstoppable you actually are. This takes courage and a willingness to let go of the old you. The bigger the challenge in life, the greater the reward will be. Financial freedom is such a huge reward because it allows you to have more freedom and power in every other area of your life. The key here is knowing that 90% of all financial success has to do with the shifts you’re making on your inner world, and only 10% from decisions and inspired actions in your outer world. Becoming a money magnet is truly is an inner trip, and so if you’re not financially free within 10 years from today, there is no one point the finger at but oneself. Freedom is truly our choice every day. The decision is to liberate ourselves for the betterment of everyone in our lives. By taking on this commitment to ourselves we will attract real financial empowerment. As we become 100% responsible for who we are and what we become, we realize how enjoyable it is to step into total integrity with ourselves. This commitment is the foundation of a powerful manifesting money magnet. This is the person who is willing to receive the greatest wealth, the most expansive healing energy, and the deepest love one could discover along the way. Financial freedom is actually quite simple. You simply and continuously choose thoughts that make you feel financially abundant and free. It manifests from a commitment to feeling abundant within yourself. It’s as if you’re planting and watering one oak tree seed, which will grow in time and give you great shade and bear fruit within the next 5-10 years. The commitment is to loving this one small seed, instead of being lazy, doing nothing, and letting all the tiny weeds continually take over your garden. We must vigilantly watch our inner garden with great reverence if we want our financial freedom to grow. We must be aware of how we think about ourselves and are treating ourselves energetically when it comes to money. The option is always there, all day long, as to how we are imagining our financial future to be. When we hang out with people who are deep in feelings of financial confidence and peace with money, we seem to transfer of this connection via osmosis. Each time we think about money, it is a crucial investment in what manifests for us financially tomorrow. There is such a powerful manifesting force inside us. Once we respect it, own its power, financial freedom soon becomes an experience that follows us wherever we are. When diving into the intention of turning yourself into a Money Magnet, there are several dimensions within to understand. The first is that becoming a magnet for money is not all about attracting money. You’re becoming a magnet for everything you want in your life as well. Financial freedom just happens to be one of those things we all would love to have. The money just flows to those who believe in themselves and their vision of the future they want to live in. If your current financial situation is like a small candle flame, imagine what it will feel like when it becomes as amazingly bright as the Sun! The Sun is the biggest magnet in our solar system, and it attracts everything towards it because it is the largest mass source of energy in our presence. Naturally, with its massive magnitude and size, it holds all the planets in a close consistent orbit around itself. As long as the Sun is the biggest body of energy, everything in our solar system we will always be in a magnetic pull around it. The same principle applies to your current financial situation. The bigger your energy is, the larger the sum of money you can consistently magnetize. And just as the Sun allows each planet to remain circulating around it at the same approximate distance each month, you too can magnetize that perfect amount of income that continuously flows into your bank account each month. The main secret here is learning how to amplify your energy so LARGE that you become bigger than the amount of money you want to attract. When you’re mentally and emotionally bigger than the sum you desire, it has to magnetically find its way to you. The key is knowing how to release your lower financial frequency in order to make space for bigger energy to enter. To increase our energy, we must release the stuff that’s not serving us anymore. By making room within yourself, you’re becoming more magnanimous and have space to allow in your financial dream or desire. The biggest kept secret to turning yourself into a Money Magnet is in how you handle feelings of financial insecurity on a daily basis. When things get tight and tough, do you respond with a calm confidence, or do you freak out and flap your emotional wings in a panic? When we accept every financial challenge as a gift to help push us deeper into creating a stronger trusting relationship with money, we can melt our frustration and resistance to it, and find a way to even appreciate the challenge we are given. In order to crank up the volume on our money magnet vibration, there must be a deep trust in the intelligence of the Universe. We must know that it will always provide for our deepest need, and if we get close to falling off the financial cliff, it will be there to catch us! When we know and feel this trust (deep down inside) that all is well in our world no matter what happens financially, we develop a feeling of joy and freedom inside that empowers us to manifest anything we want in our lives. To make a bold step on the path to becoming a Money Magnet this week, start liberating yourself from all forms of poverty consciousness. This means that you are conscious enough to see the negative thoughts you’re having about money, and watch your mind as it attempts to believe in their truth. Just think about an instance from your past where you acted as if you didn’t have enough money to experience or buy something you wanted. Notice how you felt, and where this lacking energy bubbled up from? Somewhere deep in your subconscious, from an old belief that said, “I am not enough.” When you look at the Sun, is it enough? Of course it is, it is the perfect size, and if it was any smaller or bigger we would all freeze or have major sunburns. You are enough to deserve to have what you want. By being vigilantly aware of every poverty stricken thought you think you can stop regurgitating them and repeating them for good. Then, you can replace each one with a trusting abundant thought, which will increase your feelings of self worth, boosting your magnetic value. Everyone has already a set monetary magnetic value they’ve established for themselves. This is the amount of money you believe you deserve to receive each month. If you wish to triple your income, there must be an equal expansion of how valuable you are. What is your time, information and skills worth in this world? Can you really place a value on them? They are worth more than money can handle. Let’s look at one example of self worth here. Let’s imagine you got a masters degree at the University. You’re most likely believe that your skills and knowledge from this degree make you worth more money, and thus you’ll magnetize a job with a higher income. Now if you get this degree and don’t value it or believe in its worth, you won’t use it fully and perhaps accept the same job position yet with lesser pay. What’s vital to know about our self worth here is that the value of your real self, your soul and essence of consciousness is totally undefinable. It has no limits as to what it can manifest, create and experience. 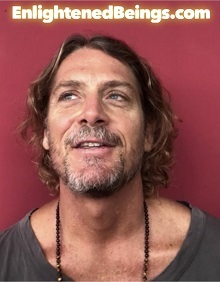 When you’re identified with this source of consciousness, there is no ego attached who can prove, “I’m only worth this much each month and not one cent more.” When you realize that this infinite spiritual source of your being is who you are, what you really are, then you can tap into it and open yourself up to receive any amount of money you can imagine. When you discover true freedom from poverty consciousness it is an unbounded, ecstatic, highly energizing and emotionally liberating experience. You feel unstoppable on every level, as if you’ve just HIT the lottery jackpot! 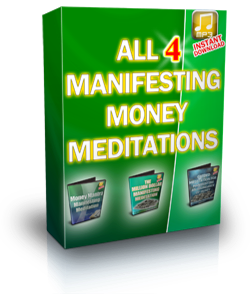 When that manifesting money magnet inside you is turned fully on, you rarely even think about money anymore. You feel so financially empowered that it’s no longer an issue or concern. Then, it’s super easy to sit back and simply watch any worries or financial concerns float by without reacting to them, trying to get rid of them, or needing to control them. This is the next great secret to becoming a Money Magnet. You are so identified with your spiritual essence that you never react in fear or worry, yet respond consciously to financial challenges with a positive loving trust that miraculous outcomes are soon coming your way. When you’re truly in touch with your spiritual essence, you become wise enough to see what’s really going on inside your mind. You know that the more energy and attention you put into those thoughts you don’t want, the more real and dominating they become. The more often you practice allowing thoughts to float by, untouched and unattached, they eventually dissolve like clouds into the vast open blue sky. When you can master this practice of watching, you’ll eventually find that naturally, effortlessly, on its own accord you start seeing new financial possibilities in your financial future. A brand new creative canvas starts to form inside of you, around you, and you create an entire different relationship with money. The process of freeing yourself from all your hidden levels of poverty consciousness contains a deep let go of all your self-judgments about money. These include all the deeper social and religious beliefs we’ve been programmed with such as money is the root of all evil, the neighbors will be jealous if I have more, money is dirty, not spiritual, it’s just greedy to hoard an abundance of money, and it’s more holy and respectable to be poor. If we actually want to become wealthy ourselves, we must let go of any judgments we’ve had about rich people, since this would block us from stepping into that lifestyle. We must reprogram our brain to think it is just as sacred to be rich as it is to be poor, and a spiritually advanced life has nothing to do with the amount of money in ones bank account. Becoming a self-realized money magnet will occur the more often you hold your awareness on the infinite source of abundance and vital life energy that abides at the core of your being. If you take just 5 short minutes every morning to meditate on the most magnetic, abundant and powerful energy that you can imagine, it will grow inside you. By visualizing this energy is emanating from deep within your core, it becomes real and true for you. So imagine there is a power inside you, that is ten thousand times more magnetic than the Sun! When you start feeling this super attractive force is growing in you all day long, naturally you will start pulling the largest sum of money to you that you can dream of. We turn up our money magnet frequency when we feel and know without a doubt that we are super powerful manifesting being who are truly unstoppable in attracting our every wish, dream and desire. We actually have the same magnetic energy that every multi-billionaire has. When we align with this source of spiritual energy inside, we start creating a deeper confidence in life, and thus form a more trusting relationship with money. By noticing that this power of magnetic energy is always radiating inside us (all day long), we can start pulling from it. This means it will begin increasing in energy, to meet the new demand placed on it. We are giving the candle flame more room to grow into a Sun, and we begin to see a larger vibration grow from within. On a practical level, to physically get rid of all of the actual poverty and financial struggle in our lives takes a series of very conscious actions and decisions. We must change all of our desiring of money and material things, to a response of constant appreciation and joy. There must be a state of gratitude instead of a feeling of lack. If we are always wanting more, we never feel we have what we want, and our financial frequency shrinks down. Our relationship with money is a relationship with ourselves, within ourselves, and this is something that we have full control over within our minds. By making those choices in our future based on trusting the infinite manifesting power within us, knowing that more money is flowing our way, we shift into a more spiritual experience of life that knows no limits. When we can feel that there is an infinite supply of energy, love and connection to our desires, we don’t have to force or push the desire to manifest. If we always are hoping, wishing and praying out of fear that a great abundance will one day fall into our lap, and half-heartedly believe we are worth it, it may manifest one day yet won’t sustain itself very long. Studies show most people who win the lottery are broke and back to their same financial status within a few years. They simply believe their life has that value, and the belief is so strong it manifests in the outer world again! This is why it’s vital to start taking massive inspired actions out in the world with the money you do have. Step by step start to build a foundation for the great financial freeing future you feel you deserve to have. There must be a solid base of trust built within you first, and from this base start taking massive inspired actions just so the Universe knows you are sincere about your desire for this great change. For example, if you want to increase your financial frequency by purchasing a new car, you must find a confident fearless knowing inside you that this car is a symbol of new wealth, and will only bring you more peace, joy and less fear, worry and stress. When you’re taking ONLY inspired actions and entertaining feelings of abundance, the Universe will respond accordingly, gifting and rewarding you in whatever ways you feel worthy. As long as you continue to make trusting decisions and take only inspired actions in your financial world, you can only attract more wealth as you will be lifting your financial vibration and consciousness higher and higher. The only reason why we manifest a physical financial challenge in life is from the build up of negative financial thoughts and feelings. As long as the mind is entertaining desperate lacking thoughts/feelings around money, the Universe must reciprocate by manifesting monetary lack and struggle in our bank account. Once we stop struggling to create a healthy relationship with money on our inner world, we will naturally stop manifesting financially struggling situations in the outer world. Our consciousness is continuously radiating a story out into the world. This story first shows up in the form of an energetic movie projected by the mind. Each movie scene by the mind, has to be reflected on the mirror (world) that’s all around us. When the mind is clear from all beliefs, we can only see the divine abundance that exists all around us. The Universe is already highly and naturally abundant. There is more than enough money on the planet right now for everyone to live like a millionaire. We simply have to learn how to feel worthy of this energy and tap into it. Lastly, please remember that you are the supreme ruler of your financial destiny. This responsibility is all yours. Each moment you define who you are, and who you are not. You always are creating your relationship and feelings about money each moment. When there are no more excuses, no escaping of your true power, and you’ve moved beyond this small helpless financially struggling self, then you are truly financially free. Real freedom takes this leap into the unknown where thoughts and beliefs are no longer running the show. You have power to change all your beliefs and by realizing this you can choose to create your own financial reality with joy and effortless ease! It’s time you claim your sovereign birth right to master your financial experience of life in every level and dimension. It may take you a few days, weeks or years to master this, yet I would like to give you a PROVEN system that will support you in this now! 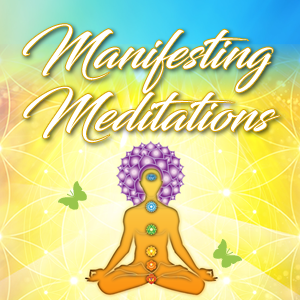 I’ve created the most powerful manifesting tools and technology that will allow you to discover how to become the master of your mind and your financial future. This is a practical down to earth daily manifesting program that is a highly effective online experience and 100% guaranteed to dramatically shift your life in the most enlightening ways in the next 90 days or less! The 90 Day Money Manifesting Package might be the greatest investment you’ve ever given yourself. Thousands of people have applied this financially liberating program, and have manifested the most miraculous abundance into their lives!! 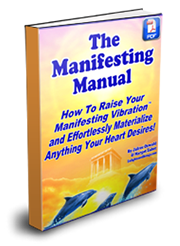 We have 150+ amazing testimonials that prove our Manifesting Technology works and that it’s guaranteed to enlighten your life so that you effortlessly attract everything your heart desires in love, relationships, money, career and your health. Perhaps best of all, learning to manifest is fun to do and you get to see real life results! Get ready to transform your life in the most enjoyable ways! Get the extraordinary assistance you need in raising your Financial Frequency Instantly! Click Here to SEE Everything INSIDE The 90 Day Money Manifestation Program Now! generate an extra monthly passive income stream! Learn How our Mass Email Marketing System will make $ for you! any of the articles I’ve written by becoming a Super Manifestor Affiliate this link. Copyright 2019. Enlightened Beings. All Rights Reserved.